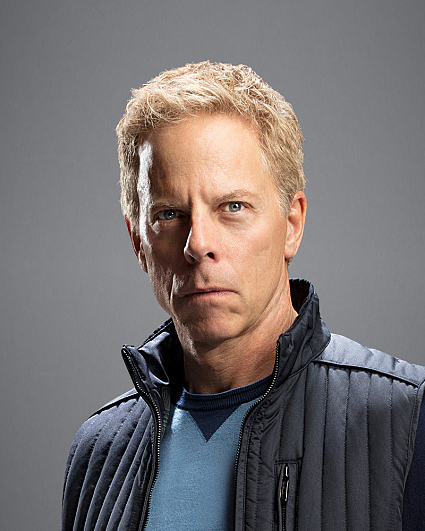 Greg Germann became a member of the Circle Repertory Company and Ensemble Studio Theatre, accumulating credits in such off-Broadway and Broadway plays as Stephen Sondheim’s musical Assassins, The Person I Was opposite Holly Hunter, and David Mamet’s War Games. Also, Germann starred in the hit play Speed the Plow at the Geffen Playhouse alongside Alicia Silverstone and Jon Tenney. Germann has established his acting versatility in television as well. He endeared viewers worldwide with his performance on Ally McBeal and opposite Don Cheadle and Kristen Bell on Showtime's House of Lies. He took a turn playing the role of Hades in the ABC series Once Upon a Time. After appearing in the first season, Germann wrapped filming the second season of the Netflix comedy Friends from College and will soon begin filming the 15th season of the ABC hit Grey’s Anatomy. On the big screen, Germann was seen in the Warner Bros. film Get Hard starring Will Ferrell and Kevin Hart. Germann’s other film credits include the Will Ferrell and Sacha Baron Cohen comedy Talladega Nights. Also, he was seen starring in the Sundance hit Friends with Money alongside Jennifer Aniston, Catherine Keener, and Joan Cusack. Germann starred opposite Chris Rock in the Farrelly Brothers’ Down to Earth for Paramount and in the Warner Bros. film Sweet November with Keanu Reeves and Charlize Theron. Germann starred in the short film Culture, which earned a 1999 Academy Award nomination.